"Their algorithms make it easy to end up going down the rabbit hole." If you feel as though there are a growing number of people online who think the world is flat — a peculiar conspiracy theory that ignores centuries of evidence that the planet is actually round — you might not be wrong. 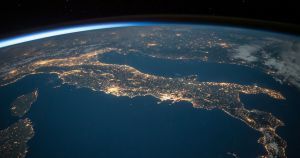 According to an alarming new study, the alarming growth of the number of people who think the Earth is flat is directly tied to the growth of conspiracy theories on YouTube — a worrisome sign of online algorithms’ ability to mainline bad information in vulnerable populations. Texas Tech University researcher Asheley Landrum interviewed 30 attendees at two consecutive meetings of the world’s largest annual conference of Flat Earthers. What she found was ominous: nearly everyone said they’d first been exposed to the theory on YouTube. “The only person who didn’t say this was there with his daughter and his son-in-law and they had seen it on YouTube and told him about it,” Landrum told The Guardian. One of the great stories of our time is how information — and disinformation — spread online. There’s plenty of good educational material online, but algorithms that feed conspiracy-minded individuals a steady diet of unreliable info could be feeding into the rise of warped worldviews.